Experience all the pleasures of driving with the new 2019 Nissan Murano crossover. It will be hard not to love the elegant interior features found in the new Murano such as the aniline leather-appointed seats and dark wood-tone accents. You can explore features like these with our incredible Performance Nissan team at our local dealership in Pompano Beach, Florida near Fort Lauderdale. Let’s continue by exploring more of the amenities found in the new 2019 Nissan Murano. When you are looking for a crossover that’s as powerful as it is luxurious, then get behind the wheel of the new Murano. The new 2019 Nissan Murano allows you to take to the road with a 3.5L V6 engine that generates up to 260 horsepower and 240 lb-ft of torque. Not to mention the adaptability of the new Nissan Intelligent All-Wheel Drive system that is designed to instantly adapt to any changing conditions on the road and helping you get a grip of the driving situation. To get a better understanding of the new 2019 Nissan Murano’s performance abilities, schedule a test drive with our Performance Nissan team today! Stay connected while on the road thanks to the 2019 Nissan Murano’s advanced technology features. Connect your smartphone with your new crossover thanks to the available Android Auto™ and Apple CarPlay™ phone integration system. With it, you can display your favorite music apps, navigation apps and receive hands-free phone calls all presented on the 8’’ touchscreen display. Drivers will also enjoy the available interior features of the heated steering wheel and Climate Controlled Front Seats. 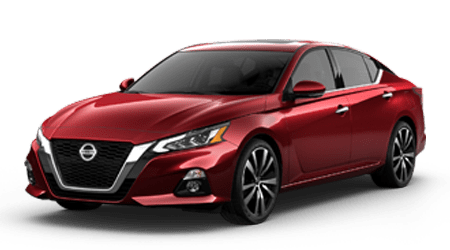 When shopping for a new sedan, truck or SUV, pick a dealership that is both fast and friendly - pick our team at Performance Nissan. Our Performance team is trained to help you find the perfect car to fit with any lifestyle. Not sure what you're looking for? Fill out our online Car Finder Application to let our highly trained team to the searching for you. Plus, if you need to keep your pre-owned Nissan running right, make sure you visit with our onsite Nissan Service Center. Finding a new car can be a straining process, but it doesn’t have to be when you shop with us at Performance Nissan. If you have any questions about the new Nissan Murano, contact our team today!